A few more clean and smart designs over at MySoti. 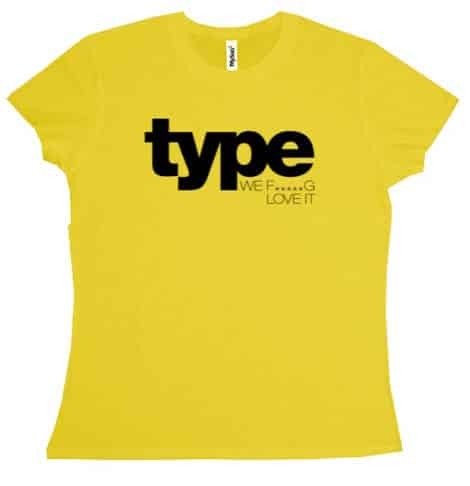 To celebrate #typethursday on Twitter, here is a ‘Type’ only t-shirt that makes it somewhat clear you fondness of all things typography. And of course set in Helvetica Neue Black and Thin Expanded. Available in a selection of colours and mens and ladies fit. If you like this bold simple style of lettering on a tee, then you may also like the Logo T-Shirt over at LoveHelvetica. If you like this design but would like another colour option, just leave a comment and I can create one to your liking.